With great performance and a low price, Samsung's latest smart camera is a smart buy. This review was published on August 13, 2014. Since then, this product may have been discontinued or replaced. Pricing and availability may differ from what is stated in the review. For all its clout in the mobile world, Samsung's NX line of interchangeable lens cameras hasn't had nearly as much success as the company's Galaxy smartphones. Though Samsung cameras have been selling well—specifically the Galaxy-branded Android cameras and last year's NX300—the company has yet to hit the tipping point where Samsung becomes as well known for cameras as it is for, well, everything else electronic in your life. Last year, the company seemed to finally be on the verge of such a moment with the NX300. For the first time, Samsung put its vertical integration to perfect use, producing a camera that was fast, performed excellently, and costed less than most of the competition. 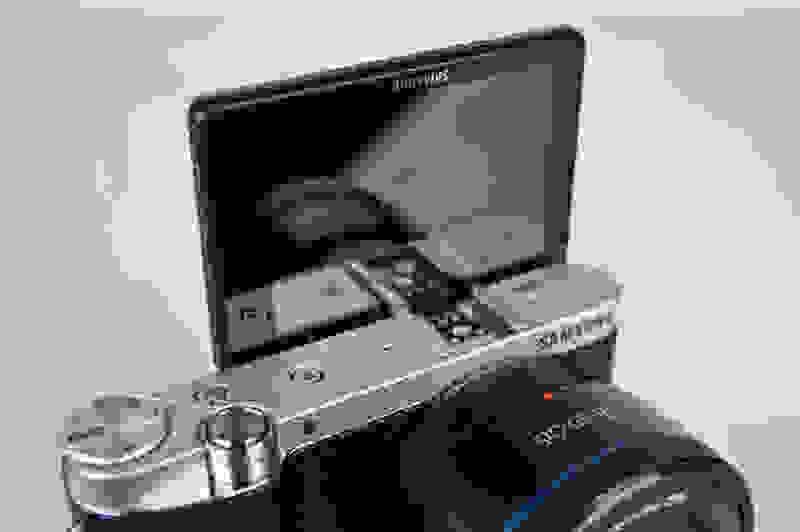 After some more bold experiments, Samsung seems to be returning to the formula that made the NX300 such a success. Meet the Samsung NX3000 (MSRP $529.99)—a budget mirrorless interchangeable lens camera with enough under the hood to satisfy even very demanding photographers. With an excellent 20-megapixel sensor, a lightning-quick processor, and an easy-to-use interface, the NX3000 strikes a fine balance between entry-level usability, high-end performance, and cutting costs without feeling cheap. 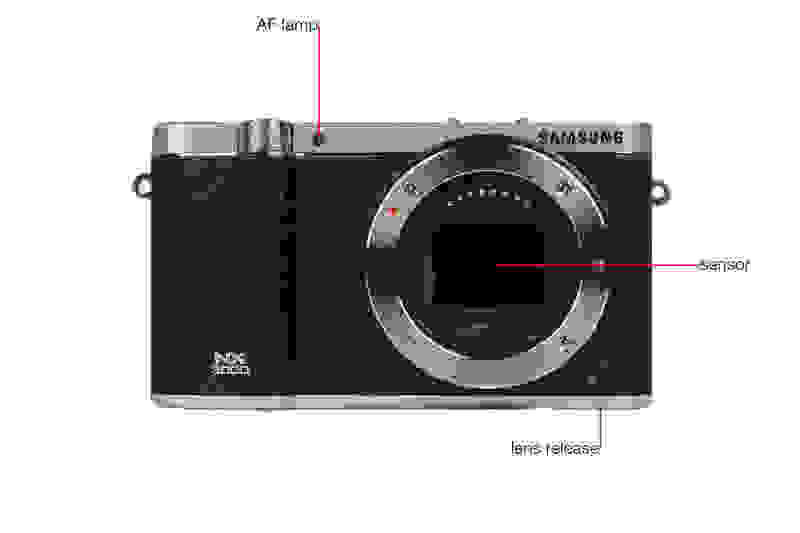 Recycling the design cues from other recent NX models, the NX3000 is pretty easily mistaken for the NX2000 or NX300. The two-tone exterior continues here, with a mix of silver and black with a faux-leather wrap encasing an entirely plastic body. The camera isn't pocketable, but it's thin enough to slip into a small bag and light enough to be forgotten when you don't need it out. The first thing you'll notice when you pick up the NX3000 is that despite the metal-looking exterior, it's actually all plastic. Though this look was widely panned when used on Samsung's Galaxy S5 smartphone, here it is actually quite nice. The body feels underweight if you're used to a higher-end DSLR, but for beginners it's a good weight and feels sturdy in your hand. From the tactility of the shutter release and the solid mode dial to the forceful and loud shutter, most everything about this camera is satisfying to use. Really, the only sore spots are the inconsistent response of the control wheel encircling the directional pad, and the battery door that swings open seemingly without cause. For novices and experts alike, the NX3000's menus are chock-full of features and options—sometimes to the point of confusion. For example, some options are hidden or have odd knock-on effects; enabling HDR feature means you can't shoot at ISO 100, for instance, and using any drive mode with JPEG shooting will lock you into default noise reduction. These are minor issues, however, and nothing you can't adjust to over time. What the pro demands and the consumer wants are two very different things, and let's face it—this isn't a pro camera. Borrowing the "selfie-swivel" design from the NX300M and NX Mini, the LCD on the NX3000 can be flipped up all the way to face your subject, allowing you to take self-shots with ease. This is great for framing group photos if you don't want to entrust your new toy with a stranger. Our only complaint with the screen is that it doesn't tilt down at all, so if you want to frame with the camera held over your head, you actually have to turn it upside down. It's not the best NX-mount lens, but the 16-50mm f/3.5-5.6 isn't a bad place to start. Overall the NX3000 is pleasing to shoot, even for long stretches of time. Best of all, Samsung seems to have retreated a bit from the touch-centric interface on some of its other cameras, opting for more physical control here. There's only a single control dial on back, but it does double-duty as a four-way pad for navigating menus and there's a physical mode dial as well. It's not more than what you get with most full-size entry-level DSLRs, but we're pleased to see practicality win out given Samsung's propensity for going with touchscreen-only, minimalist devices. Samsung has a history of cramming as much as it can into a small plastic body. When we first got a chance to play with the NX3000, it felt like a more-refined, slightly pared down version of the NX300. After spending some more time with the camera, our opinion hasn't changed. This thing has almost all of the same features, but in a smaller, lighter, (slightly slower) plastic body. The touchscreen has been eliminated in favor of this articulating unit, but this is still a very capable camera with features to satisfy novices, enthusiasts, creative beginners, and experts alike. It's an added bonus that Samsung cameras are currently shipped with Adobe's Lightroom software. Though you'll need to update once you get it installed to squeeze the most out of your camera, developing RAW photos in Lightroom gives you far more latitude than any photo you'll get straight from the camera. Lightroom also works with basically every digital camera on the market, so learning to use it is a huge benefit in the long run as you get better at photography. It normally costs between $75 and $100 on its own, so getting it for free is a heck of a deal. Like other recent Samsung "Smart" cameras, the NX3000 features built-in WiFi. 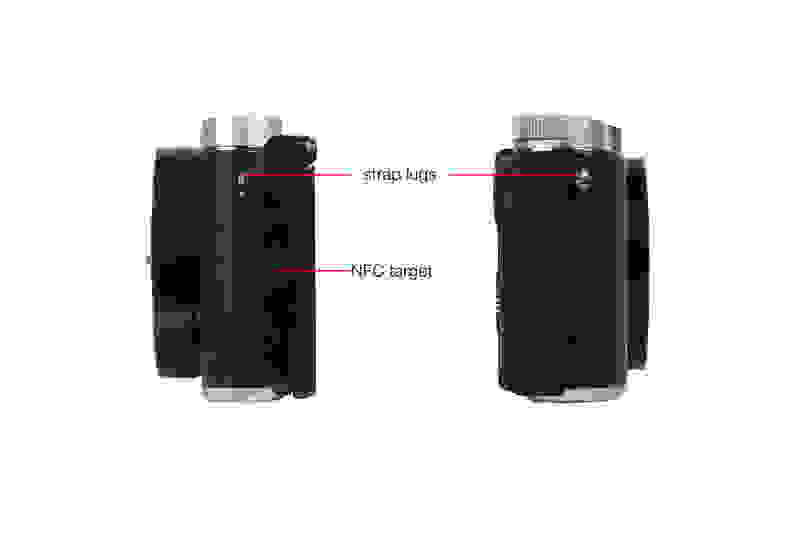 If you're a social shutterbug, you can use the included NFC antenna and Samsung app to pair your smartphone with the NX3000. 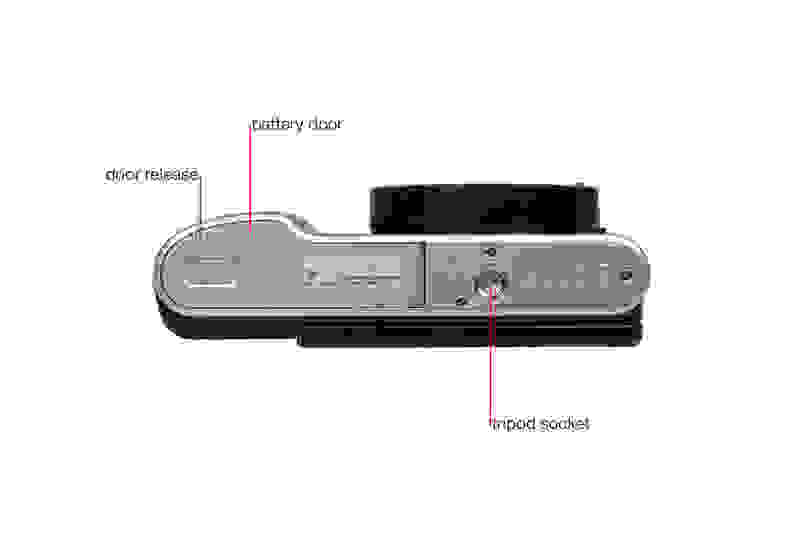 Once open, you can shoot remotely (no zooming), or transfer files from your camera's microSD card. It's not as simple as shooting directly on your phone, but this is also a vastly superior camera to anything you'll find in a smartphone. 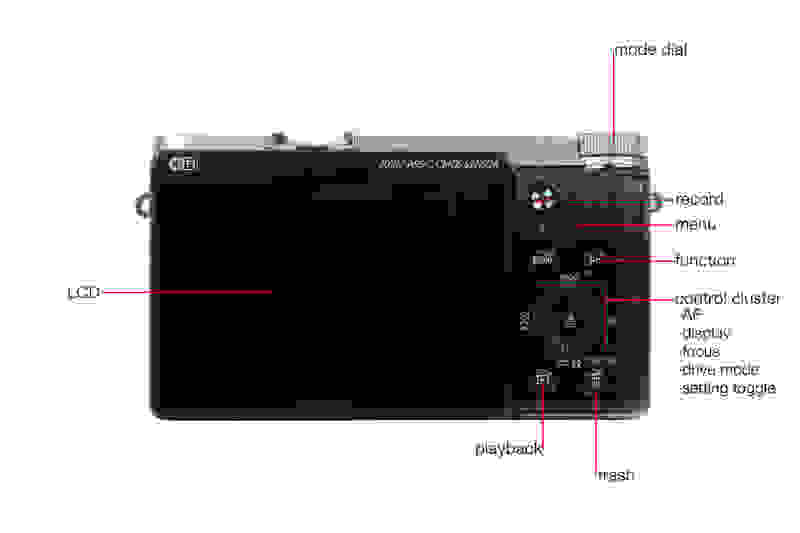 The NX3000 also gives users a physical mode dial for changing between the various shooting modes on the camera. Though beginners will be inclined to just use the auto modes, there's quite a bit here for everyone, including full PASM manual control modes. 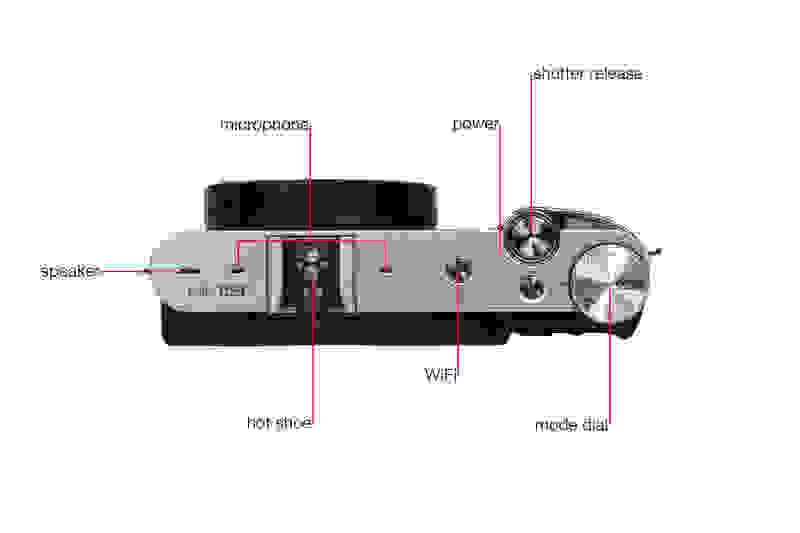 There's also special detents for scene modes, WiFi sharing, and panorama shooting. Though you'll likely do most of your shooting in one of the auto or manual modes (depending on your skill level) all these extras make shooting with the NX3000 a much easier experience for new photographers. Though beginners will be inclined to just use the auto modes, there's quite a bit here for everyone, including full PASM manual control modes. If there's one thing that's still holding Samsung's cameras back, it's a lack of lens selection to pair with the cameras. 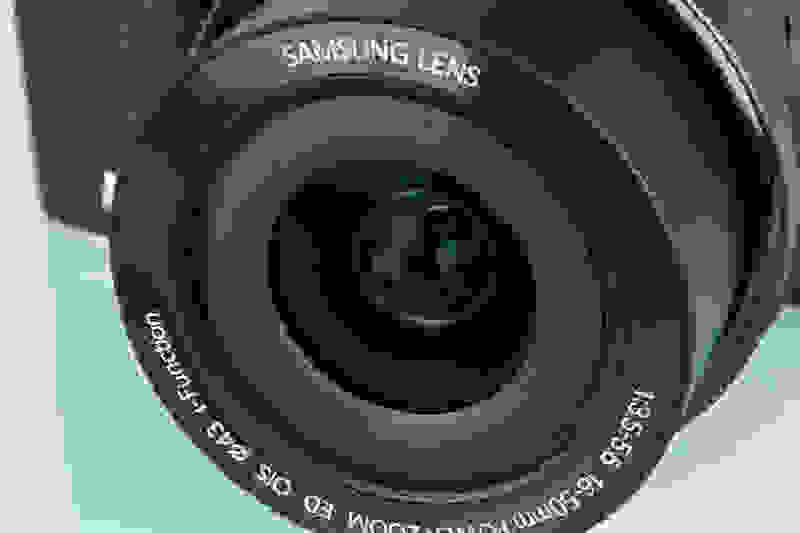 This is far more likely to be a concern for advanced shooters who will build a library of lenses, but Samsung's lens roadmap is the cloudiest of all the major camera manufacturers. For beginners, that's not really a big deal. There are more than enough NX lenses that provide a big step up from the kit lens, with smaller "pancake" options that provide great image quality and preserve the compact nature of the camera. And if you want to get a little more advanced, Samsung's 60mm f/2.8 Macro and 85mm f/1.4 portrait lenses are just superb. Just be prepared for a little sticker shock before making an investment. Results like this with a camera that costs less than $500 on sale? Yowza. Considering just how well this camera's predecessors handled our lab tests, we were expecting quite a lot out of the NX3000. And despite a few hiccups, it didn't disappoint. Yes, this is mostly a camera for novices and those on a budget, but the NX3000's guts are on par with some of the best models Samsung has churned out yet. It may have a plastic shell, but the NX3000 is serious business on the inside. To start with, that 16-50mm f/3.5-5.6 kit lens is tack sharp for a kit lens. It's not the best lens in the world—the maximum aperture is only f/3.5 so in very low light you may still wind up with grainy images—but for a kit lens on a camera this inexpensive, it's great. We still recommend you upgrade to a better lens to go with the NX3000, but this one is at least a good start. The test results for still photos are, quite frankly, fantastic. Specifically, the camera does extremely well with dynamic range. You've seen pictures with poor dynamic range before—when you've come across a photo and get annoyed with how little contrast or detail there is in shadows, you're seeing an image ruined by lackluster DR. Dynamic range is what typically separates a disappointing smartphone photo from one taken with a DSLR, so the NX3000 distinguishes itself here. 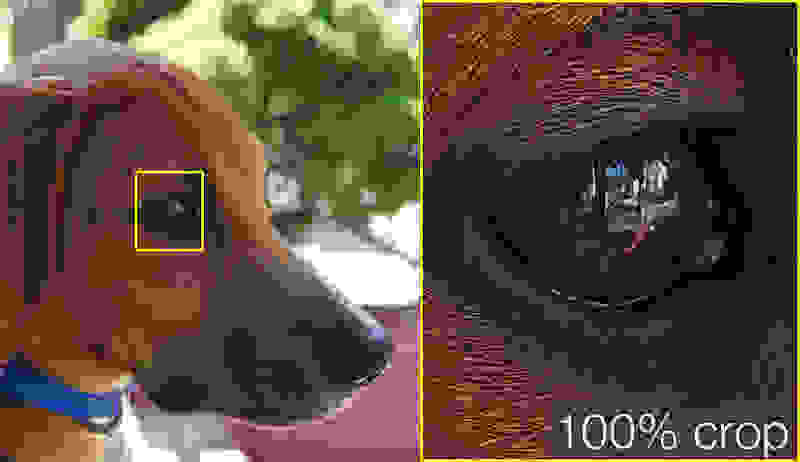 Colors are also very accurate and noise is kept to a minimum thanks to a very intelligent, subtle noise reduction system that is a serious boon for JPEG shooters. If you don't have the time or inclination to develop RAW photos, the shots right out of the camera are great through ISO 3200, falling off from there. The one big gap between the NX3000 and its elder, more expensive NX300 is shot-to-shot speed. The NX3000 only managed around five frames per second. It's not bad—most entry-level DSLRs are about the same—but the NX300 managed over eight frames per second, so this is a big step down. Noise makes some shots unusable after ISO 6400. 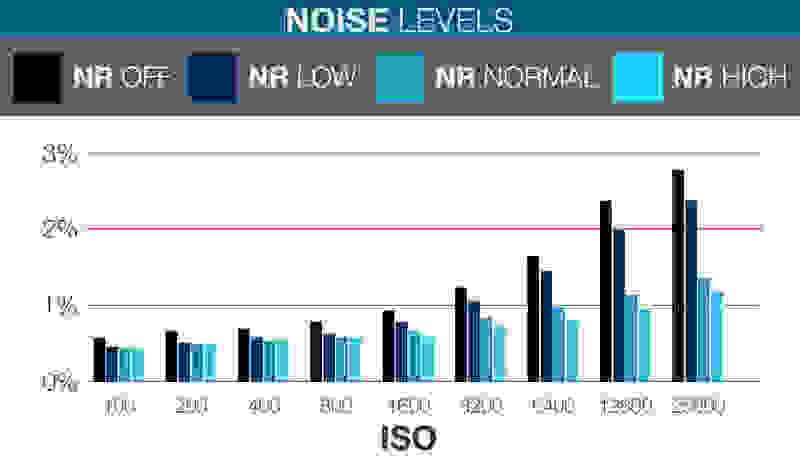 One area where the NX3000 truly stands as little more than an entry-level camera is video. It's passable, but it's nothing to write home about. It can shoot 1080/30p, with decent quality and not as much control as we usually see in higher-end cameras. In the lab we found that sharpness was merely average, with heavy strobing in high frequency patterns—you're likely to find video of moving bikes and screens to be a little headache-inducing. Of course, all of this still adds up to one heck of a good value. It's worth reiterating that the NX3000 is not just an entry-level camera; it's an entry-level camera that's cheaper than almost all of its competitors. Of 2014 models only the Sony A3000, the Canon T5, and Samsung's own NX Mini truly beat it in terms of price, and quite frankly this is a better camera—pure and simple. You can get more performance if you're willing to step up in price, but if you've got right around $500 to spare the NX3000 should be on your shortlist. The NX3000 isn't a difficult camera to describe: it's good, and it's cheap. If that's what you're in the market for, it's absolutely worth considering. And with sale prices under $500 it's basically a steal. It's not as fast or full-featured as the NX300 from a couple of years ago, but it's nearly as good and starts at a much lower price. The LCD can flip forward for easy selfies. Despite being entry-level, the NX3000 doesn't feel cheap. It's plastic, but it's lightweight and sturdy in a way that cameras like the Sony A3000 aren't. The plastic frame doesn't bend when you go to push a button in, the articulating LCD doesn't feel like it's about to snap off, and you don't feel like you're going to break it every time you pick it up. That's actually not all that common for cameras at this price point, as even "traditional" DSLRs like the Canon T5 feel pretty chintzy in your hand. Test results for still photos are, quite frankly, fantastic. Specifically, the camera does extremely well with sharpness and dynamic range. Of course, a great-feeling camera that takes junky photos isn't worth anything. In the lab the NX3000 certainly carried on the torch that was lit by the NX300. It punches well above its weight, with great dynamic range, acceptably quick shot-to-shot speed, sharp photos, and good low light image quality for this part of the market. Video isn't the best and there's no electronic viewfinder, but for an MSRP right around $500, we can't complain. If you're in the market for an entry-level camera the closest competitors are the Olympus E-PM2, the Sony A3000, the Nikon J4, the Nikon D3300, and the Canon T5. The Nikon J4 and Olympus E-PM2 are good cameras that are smaller than the NX3000, but they don't perform quite as well overall. The J4 is much faster at capturing action, but it struggles in low light. The E-PM2 is a great value as it can be found for $300 and under, but it's available at that price because it's being discontinued after a year on the market. The Sony A3000 offers an electronic viewfinder and a more DSLR-style body for less money, but it feels every bit as cheap as it is and gets outperformed by the NX3000. The Nikon D3300 and the Canon T5 are both traditional DSLRs in that they have optical viewfinders and bigger, chunky bodies. The Canon T5 is working with technology from four years ago, though, so we don't recommend it. The Nikon D3300 puts up a sterner fight and outperforms the NX3000 in most areas—especially video—but it's a bigger camera due to its optical viewfinder. 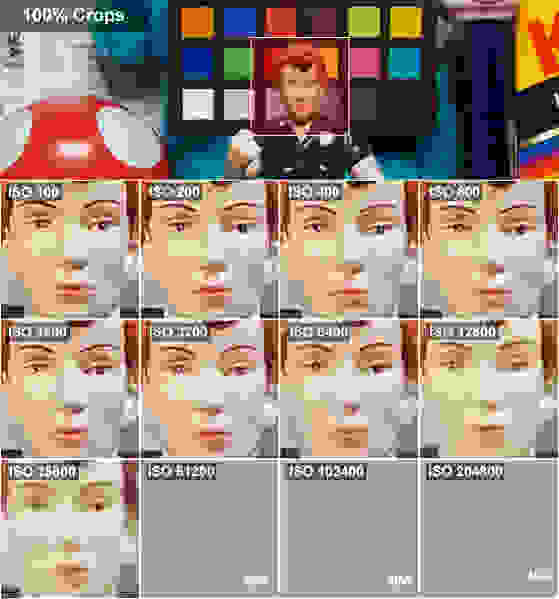 The NX3000 certainly has its drawbacks, of course. But compared to the field it's affordable, performs well, and doesn't feel like a bargain-bin camera. It's one of the best entry-level cameras we've tested this year and budget shooters of all skill levels should give it serious consideration. Wider apertures are better for portraits. All three metering modes can be a bit wonky, so you may find yourself drifting towards manual mode after shooting for a while. Artifacting is heavy when you use the HDR features. Look at the trees in the background. Sharpness is well maintained even in fine detail—look at the feathers. Despite a somewhat more narrow aperture, you can still achieve a decent depth of field. The NX3000's struggles with low light make indoor shooting tough. The NX3000 has impressive dynamic range—for an inexpensive camera, anyway. Minimum focus distance is about 8-12 inches. Manual focus leaves a bit to be desired, but is functional.